In Arizona, you'll find a variety of rivers and streams, from bottom-release tailwater fisheries to fertile high-desert creeks, from the Colorado River to the Valley of the Sun. In no other place in North America can you see Trico hatches in November and again in February and March! 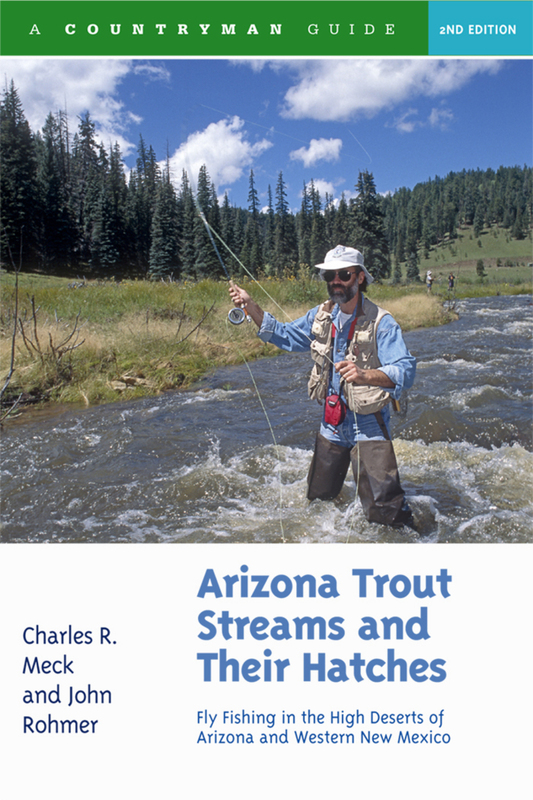 In this revised, updated, and expanded edition, authors Meck and Rohmer examine the state's trout waters impacted in recent years by floods, drought, and forest fires, such as Canyon and Cibecue creeks, the lower portion of the Salt River, and the Colorado and Upper Verde rivers. Coverage of many of the lakes has also been revised, and several lakes in central and southern Arizona have been added to round out this comprehensive, detailed guide. Charles R. Meck is the author of 12 books and countless articles on fly fishing. His books include Trout Streams and Hatches of Pennsylvania; Mid-Atlantic Trout Streams and Their Hatches, Arizona Trout Streams and Their Hatches, and The Hatches Made Simple. He spends his summers in Pennsylvania Furnace, Pennsylvania, and his winters in Mesa, Arizona. John Rohmer has been fishing the streams and lakes of the high county for 40 years. He divides his time between his fly tying materials business, guiding for smallmouth bass in Arizona's high mountain lakes, and his responsibilities as co-owner of the pro shop Arizona Flyfishing in Tempe.